They're all around us: young folks who have accomplished much and are doing great things in their community. It's time to recognize them. Spokane Talks Online and The Spokesman-Review are doing just that. 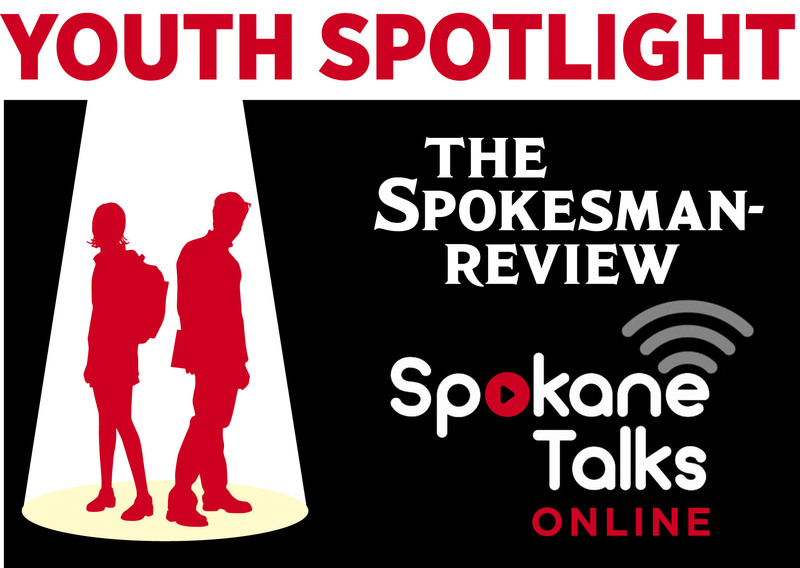 We're launching Youth Spotlight to feature the good deeds and accomplishments of our teens (and younger) in the Inland Northwest. There will be a monthly article and video story. The video story will be hosted by STO's youngest reporter, Collin Pittmann. Collin has been doing weekly STO weather reports for a year, and is now taking on this additional responsibility. A high school senior -- ASB president, FFA award-winner, actor -- Collin is an over-achiever himself and the perfect host for this series. To nominate: If you know of a young high achiever that you would like to see profiled, contact The Spokesman-Review by e-mail at news@spokesman.com or call (509) 459-5503. North Central High School student Myah Rodriguez overcame childhood cancer to become a leader with a bright future. At age 17, Brady Magruder has been a university professor, a high school basketball star, a con man and the president of Argentina. Magruder, an incoming senior at University High School, has acted in more than a dozen plays at his school and in the community since the eighth grade. Now, he’s hoping to take his act to a professional level. UPDATED: Thu., May 24, 2018, 6:55 p.m.
After winning the top music prize at the Spokane Scholars banquet last month, Justin Cai did something even more remarkable: He donated half of his $4,000 prize to a nonprofit – one he founded – called “Music for Kids,” which provides music lessons to poor children. Community service and teen activism are not just high school requirements for some teens. For those like 16-year-old Madelyn Dickens, community involvement is clearly based on her passion for social change, a yearning to help others, and a desire to use her voice to make the world a better place. UPDATED: Fri., March 2, 2018, 3:27 p.m.
Morgan McGovern is on a fast track at Ferris High School to pursue a college degree and career plans in medicine. UPDATED: Thu., Jan. 18, 2018, 5:32 p.m.
A Mead High School junior has somehow learned to balance the demands of a 4.0 student, myriad school activities and community involvement to become the queen of the Girl Scout cookie. UPDATED: Thu., Dec. 21, 2017, 10:31 p.m. When Shadle Park High School senior Cindy Mendoza is faced with a challenge, she doesn’t view it as a setback, but instead, an opportunity. Farrah Faeq was just coming into her own in Spokane when President Donald Trump announced his first travel ban in early 2017.